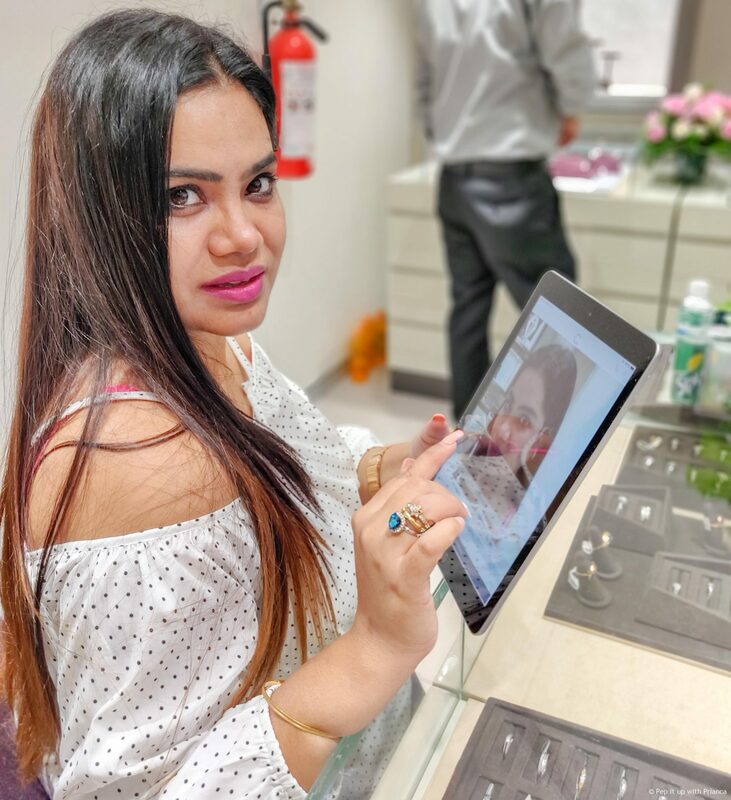 CaratLane is India’s one of the best omni-channel jeweller. The brand is expanding its retail footprint in the northern India. 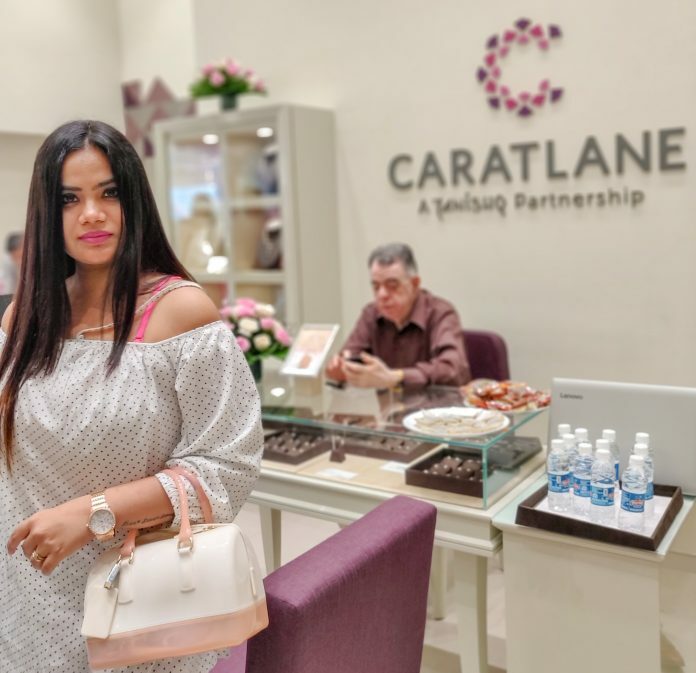 Thus, to welcome the festive season, CaratLane inaugurated its 14th store in Delhi/NCR and that make it the 17th store in the north region. I was recently invited to the launch of one of the finest retail store of CaratLane in sector 18 Noida. The newly launched store is situated in the heart of Noida city. This store is uniquely designed to enhance the customer buying experience. I like contemporary jewellery and look for forever wearable stuff. CaratLane is the brand that promises beautiful jewellery which is accessible and affordable. Also, the brand association with Tanishq brings in the trust that every jewellery buyer looks for. CaratLane store is not like any other typical Indian jewellery store. 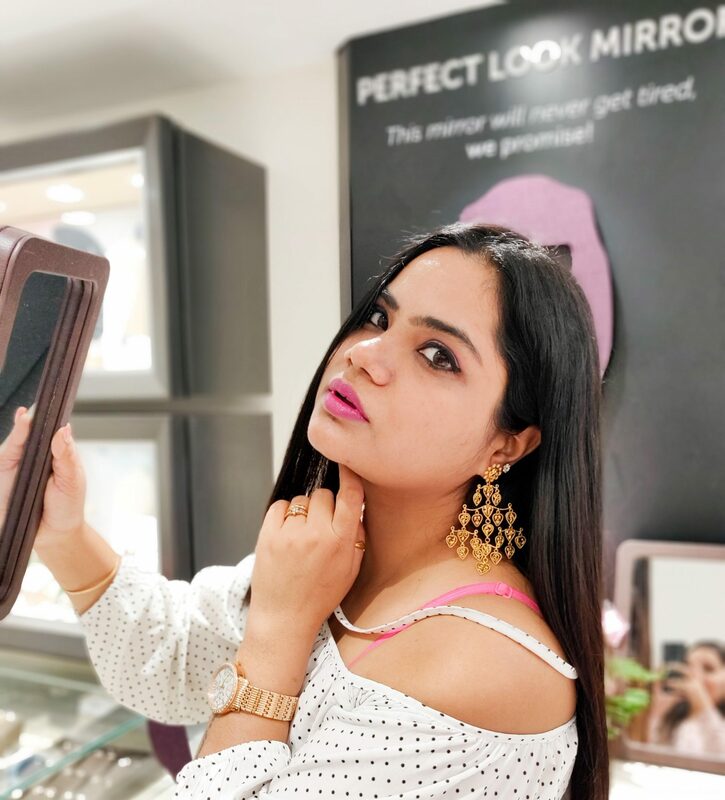 At the store look for try-on “magic mirror”, just try as many designs you want because a mirror is never tired of reflecting the beauty in you. They have incorporated technology to enhance the client experience. 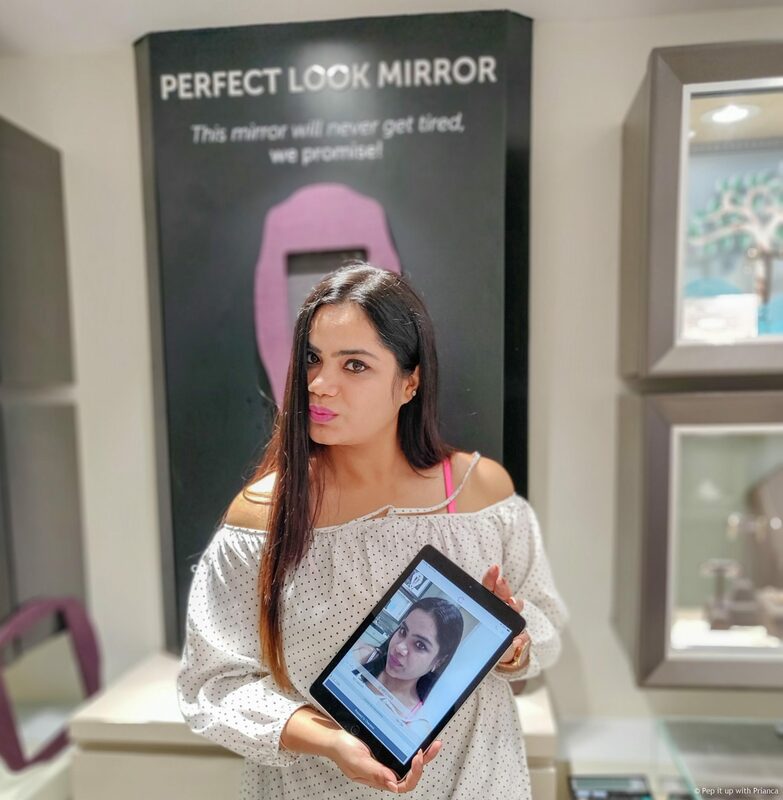 If you feel it’s a task to try all the designs then just as for the “Perfect Look App”. This App will allow you to virtually try designs and choose the best fit. I wanted to buy an earring and was excited to see which design would suit the best on my face. With the help of “Perfect Look App” I tried 18 designs and picked the best. 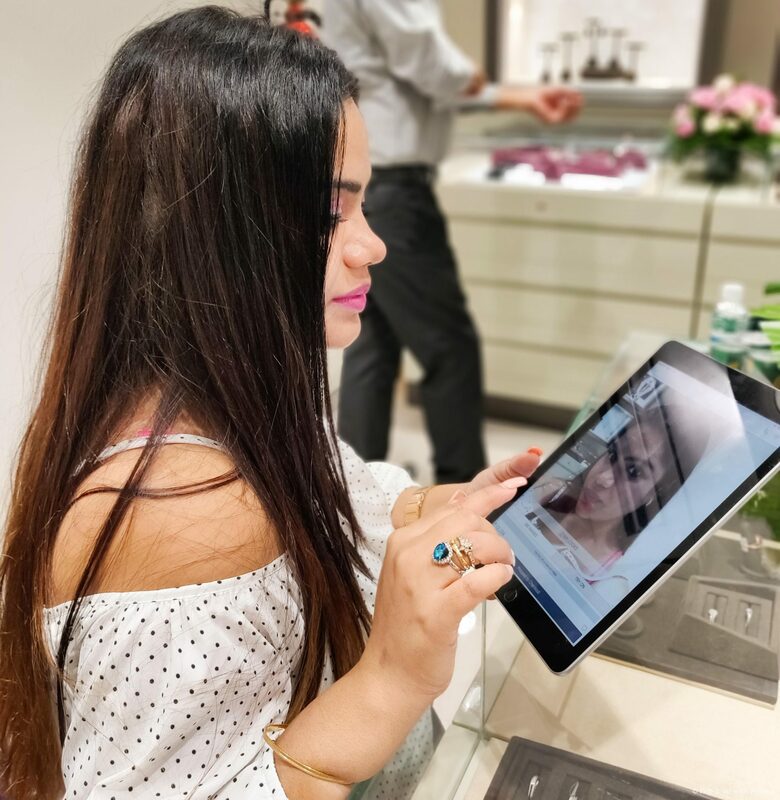 Navigating the Perfect Look App – This app helped me try & select earring designs virtually. It made the selection process a lot easier. The latest collection Weave from CaratLane is exclusive, elite and classic. Also, at the store there is a solitaire lounge where CaratLane diamond consultant would guide you to pick the perfect solitaire. So, guys if you are looking for work wear, ethnic, statement or modern jewellery then Caratlane is just the place.